Whether you’re treating Fido to a tennis ball or purchasing a beta fish for a new aquarium, the great pet stores of Connecticut will supply you with everything you need! The owners of these businesses care about the treatment and happiness of your four-legged friends! 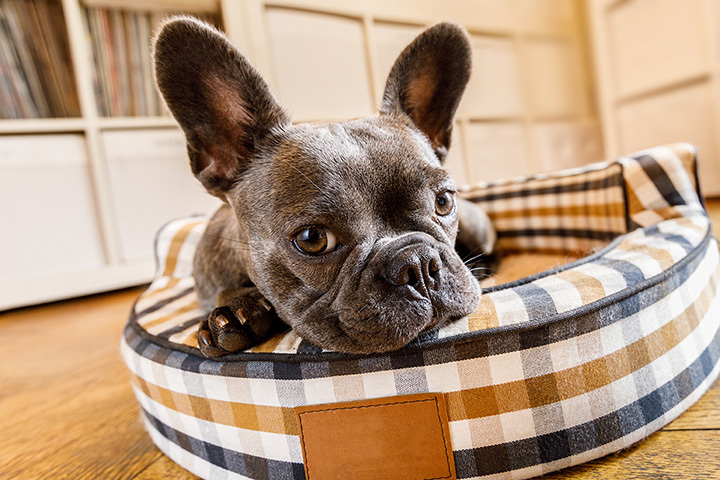 Find the best selection for your furry, scaly, or shelled family member at these 10 awesome pet stores in the Nutmeg State. For 19 years, Gentle Jungle has been serving the Meriden community with their knowledgeable staff of pet counselors and wide variety of pets. In store, they often have up to 50 energetic puppies as well as kittens, ferrets, hermit crabs, and reptiles. A vet visits this store weekly to update vaccines and ensure that all of their furry and scaly friends are healthy and ready to find their forever home. This local pet store features super friendly staff that are always willing to answer questions or give out samples to find the best food for your picky pet. This store also features fun collars for dogs, a ton of pet supplies, and even items to care for plants! This local business works really hard to care for pets in the community as well as support other nearby small businesses. This family-owned business is housed in a barn and is a lovely pet-friendly spot. Bring along your dog for a visit or enroll him or her in dog training or a puppy playgroup. They also have quality pet food, all natural treats, and other pet supplies. Additionally, they have everything you’ll need to take your active pet hiking with you or on road trips. Shoreline Pet and Aquarium specializes in home aquarium needs for freshwater and saltwater animals. Their aquarium maintenance program ensures that your home or business tanks stays in tip top shape to keep your animals healthy. They also have a pet rescue service and subsequently arrange adoptions for rescued and surrendered animals so they can find their forever home. Opened by two World War II veterans who loved animals, Pet Pantry is home to the best food available for your furry friend. Enjoy one of their wonderful events that help to raise money for community outreach and pet rescue. Just Cats is a vet that specializes in treating cats, but they also have an excellent store focused on only feline products. From cat carriers to leashes, cat food, and furniture, Just Cats stays on top of the best products available in the U.S. to offer to their customers. They also have a very specialized cat boarding program if you’ll be away from home for any amount of time. Purchase top quality food for your pet that is crafted for his or her age and health at the Pawprint Market. This market even offers raw food options and a variety of protein varieties for your four-footed family member. Free local delivery may also be available if you can’t make it to their store. The Pawprint Market also has pet treats and toys, flea and tick protection, ceramic bowls, and more. Super shiny coats and great health can only be obtained for your pets by feeding them the right diet. Cheshire Cat and Dog, Too aims to educate owners on pet health and safety with workshops, seminars, and friendly staff available to answer questions. CPR and first aid classes are also taught to care for your pets, which is a great service! Paws and Claws sells pet food with the right balance of vitamins, minerals, proteins, and vegetables for your furry family member. The owners of the jam-packed store have done tons of research into the healthiest pet foods available on the market, as they believe these are the best options for your pet. They also host adoption events to help great animals find loving homes. Stop by Fleming’s Feed for pet supplies and food for cats, dogs, and animals both tiny and large. Additionally, they have an excellent supply of wild bird seed and garden care items. These large stores also sell equestrian gear, local produce, raw honey, and live plants for your home garden.